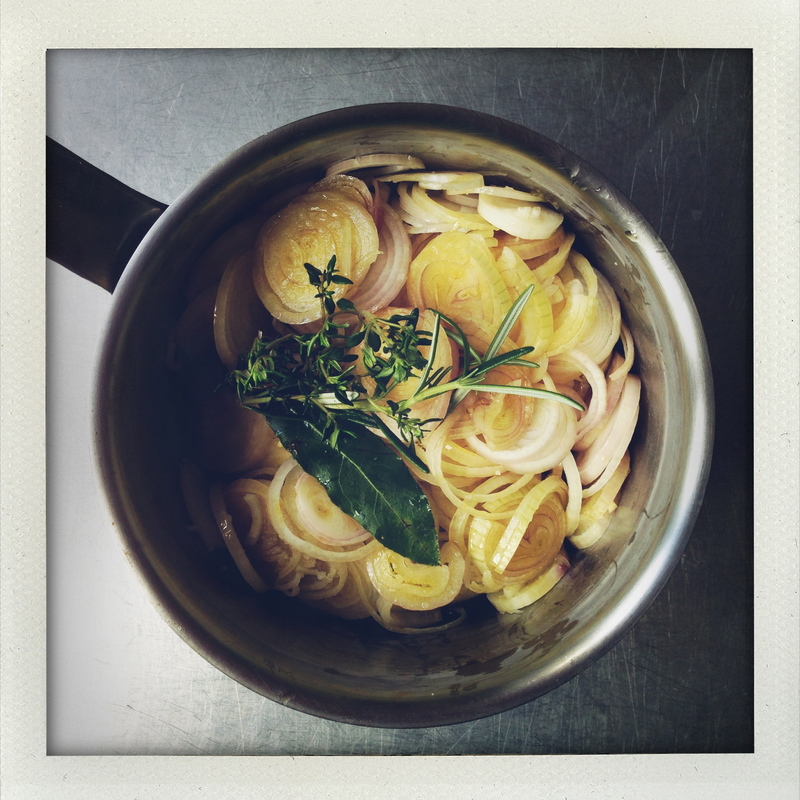 ‘Why on earth make duck confit in the first place?’ Fair question. ‘Why on earth make duck confit again?’ Even more to the point. And again?! Because there is a happy ending. Many moons and about a decade ago I made duck confit. Why? Well, I was in New York, where confit duck is not, as in France, available on every supermarket shelf. I must have been in an experimental mood. And I certainly had no idea what I was getting myself into. As I remember the experience — faintly (the worst ones fade) — I see endless vats of rendering, handling, splashing, filtering duck fat (it was actually probably goose fat). It took hours, days, perhaps weeks? In the end the thighs were much too salty. And yet, I did it again. — Why? Perhaps because so much time had gone by that I had glossed over the experience? Because I was again/still in a country where duck confit is somewhat elusive? Because I don’t like to leave things on a frustrating experience? Because in April Bloomfield’s book A Girl and Her Pig there is a duck confit recipe that fits on one page. It works. It’s not that hard. It’s worth the adventure. Duck confit recipe from A Girl and Her Pig by April Bloomfield adapted for 6 duck legs. The process takes 2 days and is best made some time in advance. In a mortar, crush together the peppercorns, juniper, chilies, and cinnamon. There should be fine and coarse bits. Add the thyme leaves picked from the stems and the garlic and crush some more to obtain a coarse paste. In a small bowl, mix the spice mixture with the salt. Place the duck legs in a shallow dish and rub the salt/spice mixture all over the legs. Cover with plastic wrap and leave in the refrigerator overnight. The next day, very slowly heat the fat in a small pot that will perfectly fit the duck legs (I used a 10″/25cm pot). Rinse the duck legs and pat them dry with a paper towel, then carefully put the legs in the fat. The legs must be completely submerged — if they are not, use a smaller pot or add a bit more fat. Cook on extremely low heat for about 2 1/2 hours. There should be barely a simmer. Adjust the heat as necessary. Remove the pot from the heat and leave the duck legs in the fat to cool completely before placing in the refrigerator, covered with a lid. The legs submerged in fat will keep for a few weeks. When ready to eat, remove the legs from the congealed fat, and carefully scrape off as much of the fat as possible. Thoroughly heat a heavy skillet/frying pan, add a few generous spoonfuls of the duck fat, and fry the legs over high heat, skin side down, until deliciously crispy. Turn around and fry the other side of the legs too. Serve immediately. Crispy duck confit is best served with roasted potatoes and a salad of bitter greens (traditionally frisée, but also escarole, radicchio, arugula, etc…). Imagine unctuously slow-cooked pork belly infused with the intoxicating aromas of star anise, cloves, cinnamon, ginger, chilli, and coriander. It doesn’t get much better than this. 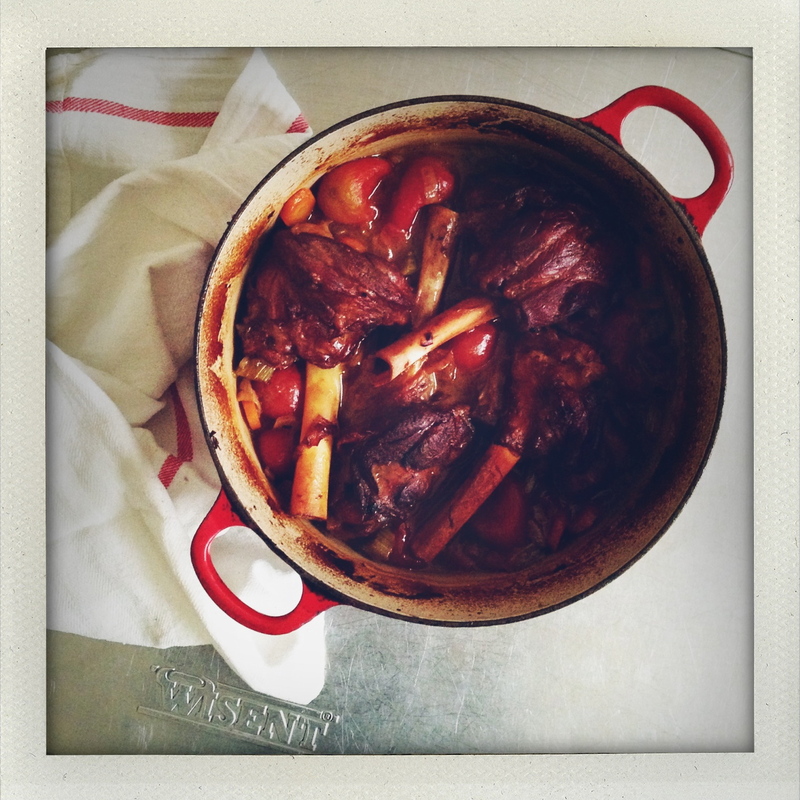 The recipe is a brilliant one by Skye Gyngell, to which — if I may — I did make one substantial improvement: crackling. The initial method slices the gently simmered pork and browns each individual rib in a pan. I found this impractical. I’d much rather be clinking glasses with friends than browning meat in the kitchen. Also, dare I serve pork belly with no crackling? So I improvised a little and shot two inconveniences with one rather practical idea: rather than searing the meat, why not slide it into the oven for a second low and slow roasting. Boom! Adapted from A Year In My Kitchen by Skye Gyngell. The process is a lengthy one but hardly requires any hands on work. Plan with a minimum of 4 hours before serving time. 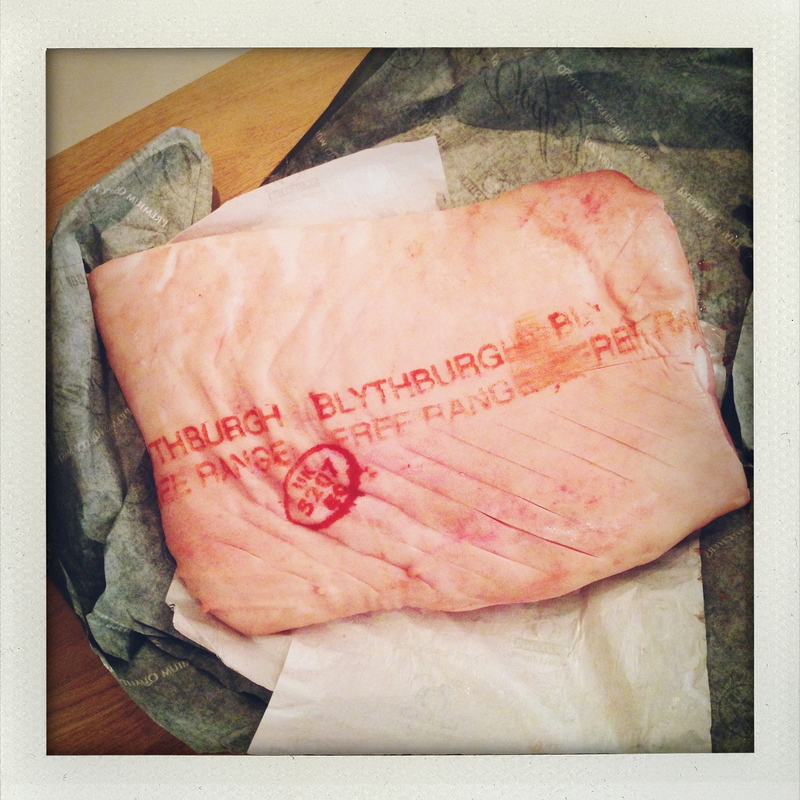 Place the pork belly in a pot large enough for it to lie horizontally quite snugly. Add cold water to cover. Bring to the boil, then immediately remove from the heat, drain the water, and rinse out the pot. Return the pork belly to the clean pot (skin side up), cover again with cold water, and add the cinnamon, star anise, cloves, chilli, peeled and roughly sliced ginger, peeled garlic cloves, and roughly chopped coriander stems (and roots). Bring to the boil then turn the heat down to very low, and let the pork simmer gently for about 1 1/2 hours. With a pare of tongs carefully take the meat out of the pan and place it onto an ovenproof dish. Season with salt and pepper. Reserve the liquid which will be made into an incredible sauce (see below). Approximately 2 hours before planning to serve, place the pork belly in a 300°F (150°C) oven and roast for 1 1/2 hours. Check after one hour; if the skin isn’t crispy enough, increase the temperature to 375°F (190°C) for the last 20 to 30 minutes. Take the pork out of the oven and let rest for at least 20 minutes. Meanwhile, to make the sauce, add the tamari and maple syrup to the fragrant cooking water, turn the heat back on to high, and let it boil away for a good half hour until the liquid has reduced by about half to become a dark and rich sauce. When it has acquired to the desired consistency, remove from the heat and strain out the spices, pouring the sauce into a smaller saucepan ready to be easily reheated later. Serve the pork belly with the thoroughly reheated, piping hot sauce. Key, of course, is the quality of the meat. Beef should be grass-fed and dry-aged. 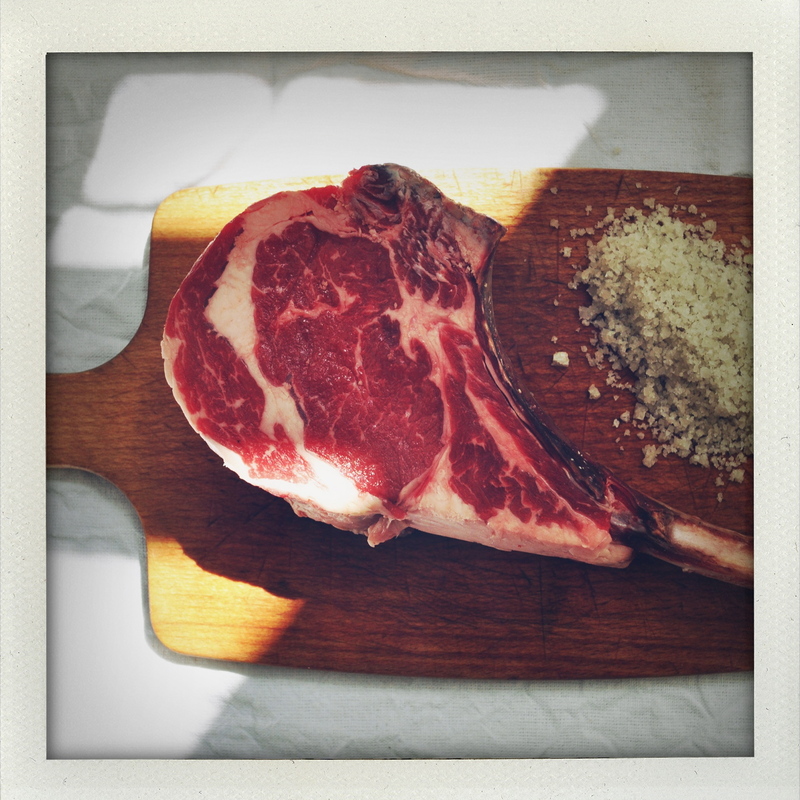 To say I choose my homes according to their proximity to a good butcher is exaggerated, but we’ve been lucky for a while now, with, for years, excellent meat just a few blocks away. There was Ottomanelli in the West Village, Harlem Shambles uptown, and, here in London, we live close to another great butcher, Godfreys. The cut is important, too. Meat on the bone is typically more flavorful, and thick cuts (an inch and a half at least) are much easier to cook to perfection: very brown and crisp on the outside but perfectly rare in the center. There are debates over whether steaks should be seasoned early or whether salt left on the meat absorbs some of the moisture. I’ve decided to settle into the camp that favors early seasoning, allowing the salt to seep into the cut. Since meat should be brought to room temperature before cooking, I take the steaks out of the refrigerator about one hour before dinner, season them generously with coarse salt and freshly ground pepper, and let them sit a while. It is useless to try to give a cooking time. Every steak is different, depending on the cut, its thickness, its initial temperature. I’ve found that a cast-iron skillet works best, and it should be very hot before the meat is added. A combination of butter and olive oil in the pan is good, as the butter is delicious and won’t burn as quickly together with the olive oil. Ideally one could add herbs to the rendered fat and baste the steak as it cooks. Sear the meat on very high heat, turning it over once the first side is evenly brown. The steak is perfect when the outside is brown and crisp, like a crust, and the meat has contracted, but just barely. Not too much or it is overcooked. Like all meat, steak needs to relax a little before being cut; about ten minutes, just the time needed to get the rest of the meal on the table. Serve the steak with the butters, shallot confit, and some strong mustard. These must be made a least an hour ahead, and easily the day before. 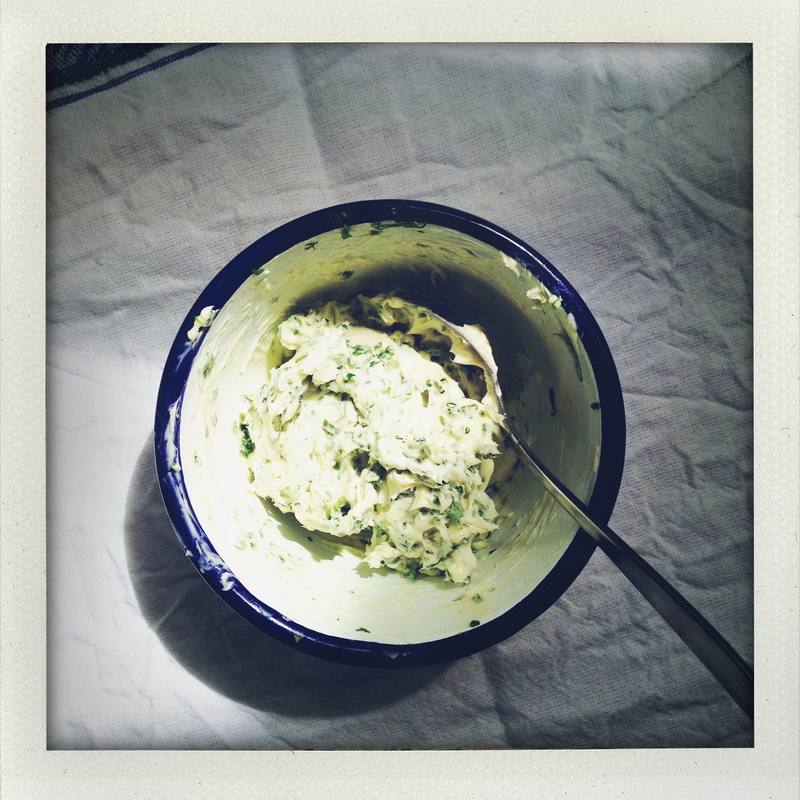 I make one butter with anchovies, parsley, and basil, and the other with just herbs and sea salt. Cut the butter into two equal parts, place each in a small bowl, and let sit at room temperature until it becomes soft and easy to work with (probably about an hour). Wash and shake the herbs dry. Pick the parsley and basil leaves from the stems. Separate the herbs into two groups: one with half the parsley and a few basil leaves, the other with approximately equal amounts of parsley, basil, and chives. Finely chop each group of herbs. Drain as much oil from the anchovies as possible, and chop finely. Using a fork, mix one of the softened butter with the anchovies, parsley, basil; the other with the parsley, basil, and chives, and the salt. 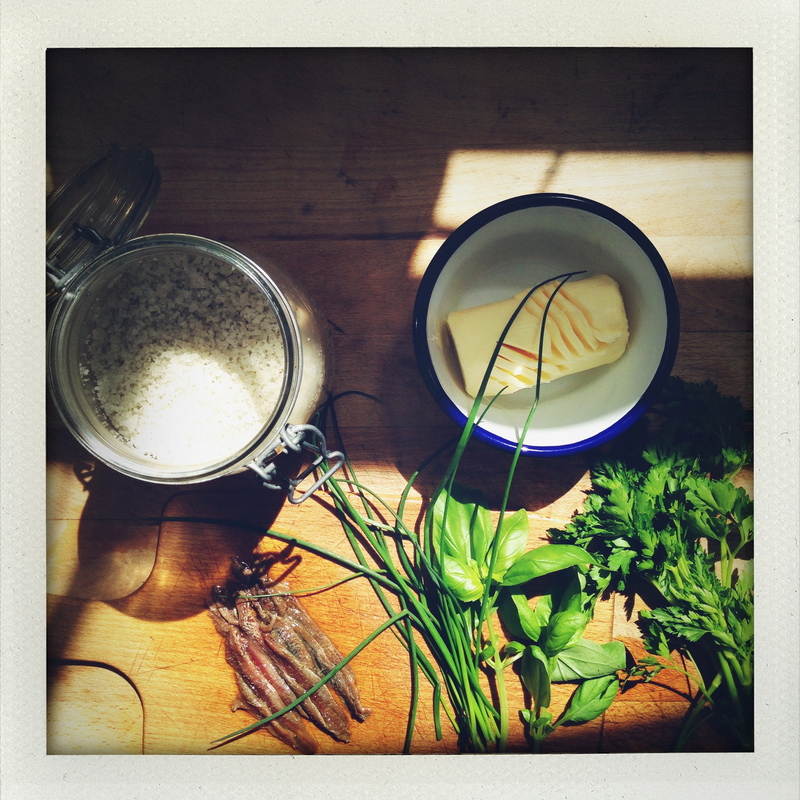 Mix each well until the butter is homogeneously speckled with the herbs. Transfer each piece of butter into a small serving bowl, even out the surface, and let cool in the refrigerator for at least an hour. The butter will keep for a while, though it will be best for a couple of days. Place in a very small saucepan with enough olive oil to comfortably blanket the bottom of the pan. Add the herbs and a good pinch of salt. Let cool a little and remove the herb stalks before serving. The confit can be made ahead and kept in the refrigerator but must be slightly reheated before serving, just beyond the point where the oil isn’t congealed to awaken the flavors.